Snow in Summer Cerastium Tomentosum is a herbaceous evergreen perennial. Snow in Summer bulk seeds germinate fast, and they can be started directly outdoors in spring or fall. 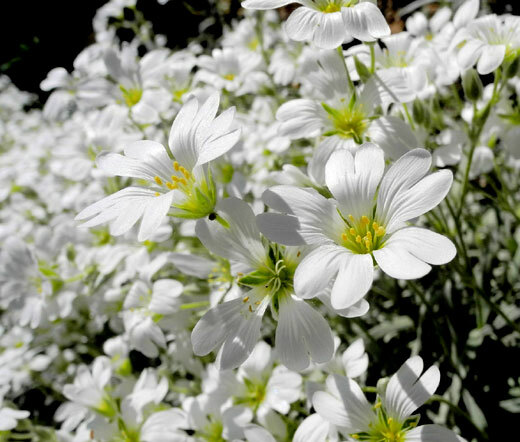 Cerastium Tomentosum is a low growing, creeping, mat-like, evergreen ground cover that grows 6-8 inches tall by 12 inches wide. 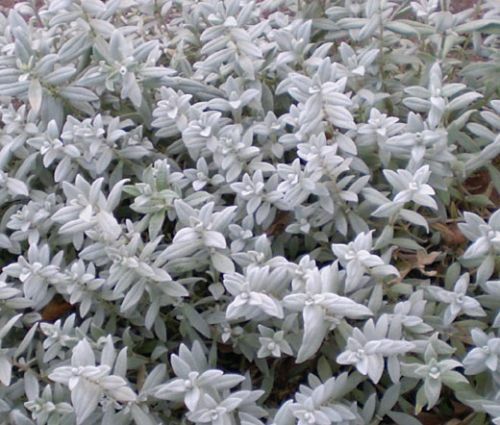 Snow in Summer features foliage with oblong, gray-green leaves that are covered with soft-textured whitish hairs. Starting from late late spring and through summer, Snow in Summer produces clusters of pristine white flowers on a top of 8-12 inch flower stems that rise slightly above the foliage forming a snow-like carpet. Snow in Summer makes an excellent ground cover that works very good on too steep to mow, sunny banks between stepping stones, and in the cracks of stone walls and ledges. 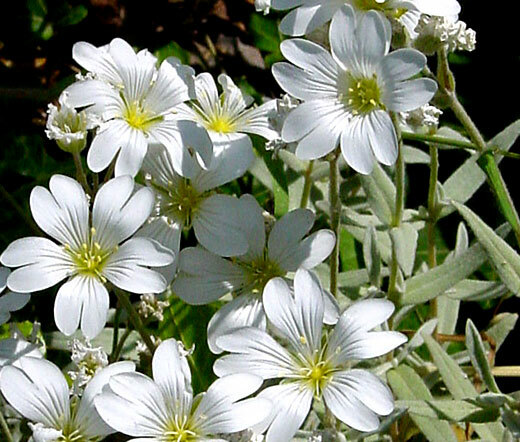 Snow in Summer is also an outstanding alpine and rock garden plant that re-seeds itself providing continuous growth. Cerastium Tomentosum seeds produce the short lived, evergreen perennial plant that grows fast and performs best in well-drained sandy or loamy soil with low fertility. Snow in Summer grows best in full sun and shows excellent tolerance to drought, so little watering is required.